Hey guys, it's been a pretty busy two weeks, but here is the latest in the devblog. From a successful Orlando IX convention to new assets! Last week I spent trying to wrap up all the upcoming script for the tutorial mission. All of the written dialogue, tooltips, and level design support. We sent off all the dialogue to be recorded by voice actors and hope to have that in your hands to play as part of update 3 if not shortly after! One of the lesser known details (until now!) about the Riot Zombie, is that he is currently being turned into a proper “boss” zombie. Thus, I have finished his design and handed it off to Lawrence to work on his new behavior and create his attack pattern. 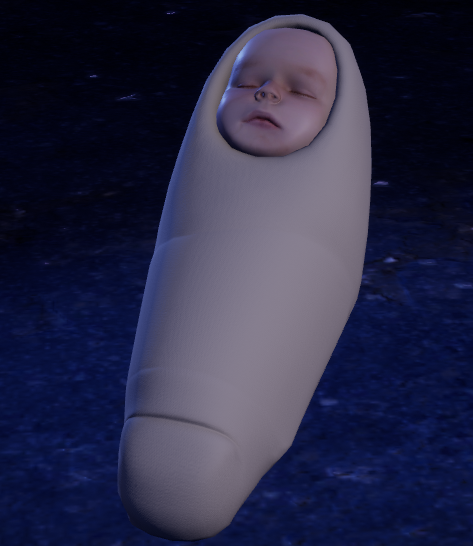 Once he’s ready for the testing I’ll write up a proper introduction (hopefully in next weeks devblog!). This week I’ve been working with my head down, focusing all of my effort on a future level to be used for campaign, multiplayer including PVP and COOP support. Needless to say the tentative name for this level is called “Vertigo” but may change before release. The level itself I don’t want to reveal much of yet until it’s ready, but it’s likely to be the largest scale level in the entire game. With that said, it’s coming along nicely and hopefully it will be ready to show soon! Following the introduction of the Unreal SDK, I implemented LIV, the premiere Mixed Reality content creation tool: Store.steampowered.com. Make sure to check out their wiki ( Wiki.liv.tv ) for instructions on how to get started! 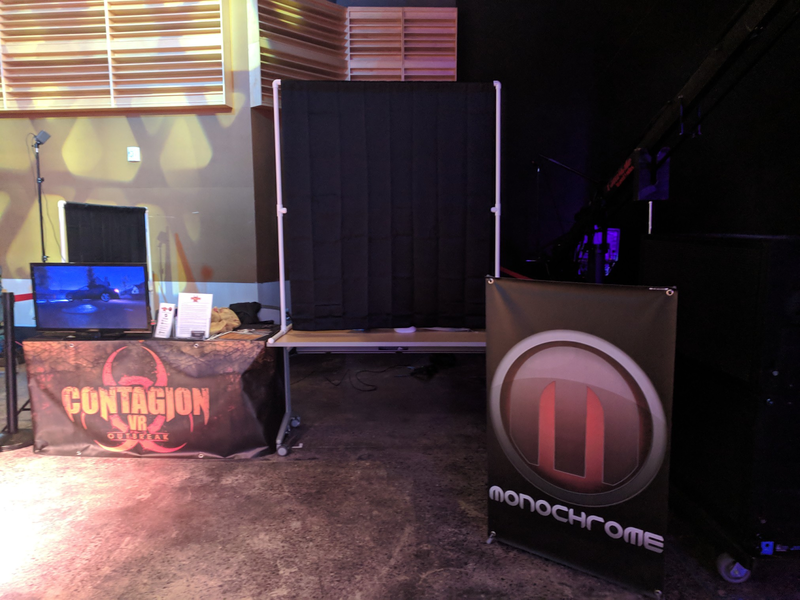 Last weekend I attended OrlandoIX and showcased Contagion VR: Outbreak, with over 2000 attendees and only 10 hours for demos, the line was constantly long! Having only one HMD with me, I was only able to get through roughly 50 attendees. Lots of them died pretty quick, although over 25 of them were able to make it to the end. A lot of lessons learned from that demo, the first one… Noise Cancellation Headphones are a MUST! One of the most important parts of “horror” games or jump scares is the audio, but with it being so noisy in there, a lot of it was drowned out. The next important lesson learned would have been cutting to the chase a bit sooner, basically taking out all the intro dialogue, even though sure it’s cool...we only had so much time and so many people to get through it, action is where it’s at. Or just created a separate demo for showcasing itself. Other than that, while waiting on a few things for the Tutorial and Outbreak mission to get finalized, I’ve been hard at work with bug fixing and improving grips on all platforms (Vive, Rift, WMR) and will also be implementing a new options setting to tweak them to suit the player’s taste. I probably added more detail than required, since the player will likely never get close enough to the model to see any of the details, but it was a fun excuse to do some light character modeling. It may or may not be featured as something the player can use; it's primary use is for something else. I’ve been working on getting new lines recorded for our NPCs as well as revised and additional lines from our existing characters. I’ve finished the first pass for placement and they will be going in-game shortly and polished in the near future. I’ve also completed with the help of Lawrence our performance pass on all Wwise Audio and how some of that Audio is triggered to avoid spamming Events all the time. This week I have been primarily focusing on a comprehensive and completely bespoke data storage/save/load system for the AI systems of the game, as well as recoding parts of the AI framework to better support saving and loading. Also, I have been working with paul on a few cinematic sequences for the campaign, including the “Soldier Ending”, the “Wife Sequence”, and the “Subway ending”, and ditched RVO avoidance for Detour (so no weird strafing madness in zombie, and finished the prototype of a brand new “Extreme-Threat” zombie archetype, and put in swishy melee haptics, and created a system to radius cull all AI WWISE requests for performance gain. This week I created many new animation sequences for the ever-growing campaign, especially at the end where it was rather spartan on the polish side! From soldiers that interact and react to you, to the wife which was never really there, and so much more has been fleshed out with new animations, re-skinning, and implementation to help bring the first campaign to the epic conclusion we all know it can be.